A brand is how a person feels about a person, product or oganization. 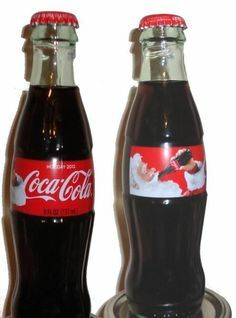 I am not an avid Coke drinker by any means but during the holidays I cannot resist purchasing a six pack of those little glass bottles of dark, sweet, caffeinated liquid! And even though we become inundated with the holiday polar bear commercials, this is not what provokes me into making the purchase, either. What is it then, you might ask? Well, it’s the way that those little glass bottles make me feel. That’s right, drinking soda from glass bottles elicits a feeling of sheer, unadulterated happiness that reminds me of my childhood. Coca Cola wasn’t even my drink of choice as a kid; it was Cream Soda by The PopShop, for crying out loud! But, soda in any kind of glass bottle brings me immediately back to the carefree days of my youth when during ‘special occasions’, we popped the cap of any icy cold bottle of pop and drank in its syrupy goodness! So, kudos to Coca Cola and their brilliant job at branding! Branding is not a product, a logo or a mission statement. A brand is how a person feels about a product, service or organization. Strong brands like Apple, Google and Coca Cola are all highly credible, high quality brands that promote a general feeling of trust and security amongst consumers. Wouldn’t it be nice if you yourself could convey that kind of feeling to an employer?!? Well…you CAN! It’s called Personal Branding. Start by developing a brief statement that communicates who you are, what you are looking for and how you can benefit an employer. Often referred to as “the 30 second elevator speech”, this pitch is like a mini commercial about yourself! Practice this statement often so that it comes across naturally when you are networking or introducing yourself to prospective employers. Continue to build your brand through a professional resume, a portfolio, and don’t forget your online image! Be consistent and work to maintain your brand. A strong, clear brand can help you become known for what you are good at and hopefully set you apart from everyone else! Karen Cake is a student from the Career Consultant Certificate Program at Mohawk College in Hamilton, ON. For more information about the Career Consultant Certificate Program, or how MCACES helps students with Employment Advisement, please contact Lidia Siino, Professional Development & Communications Specialist at lidia.siino@mohawkcollege.ca.